One of the most important elections of the past year pit a socially moderate, internationally minded reformer against a right-wing nationalist promising to restore economic opportunity to the downtrodden and traditional values to a nation in decline. The former boasted overwhelming support among the young and the urban elite, the latter garnered votes from the rural working class that the Establishment’s economic reforms had left behind. I write, of course, of the race between Iran’s incumbent president, Hassan Rouhani, and his conservative challenger, Ebrahim Raisi. And on Saturday, the Iranian people gave the more cosmopolitan candidate a decisive victory. High turnout among Rouhani’s urban base gave the moderate president a 57-to-38.5 percent victory over the hard-line, conservative judge favored by Iran’s conservative security state and clergy, including (reportedly) the nation’s supreme leader, Ayatollah Khamenei, who will have veto power over any reforms Rouhani might wish to implement. Still, Rouhani’s reelection — combined with reformist candidates’ strong showing in last year’s parliamentary elections — represents an expression of popular will that Khamenei may be forced to accommodate. 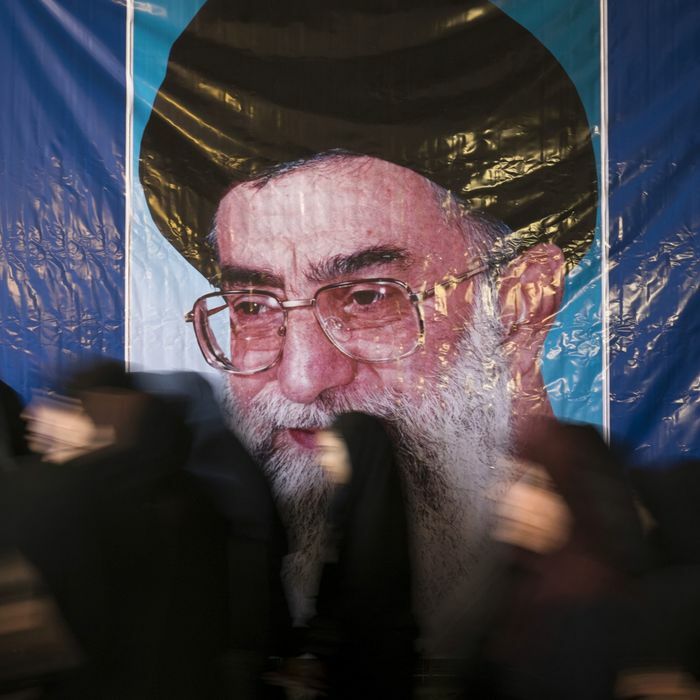 In recent years, the authoritarian theocrat has allowed satellite television to spread through Tehran, bringing foreign news and entertainment into Iranians’ living rooms. Even if Khamenei were to obstruct any further expansion in social freedoms, Rouhani’s victory might prove profoundly significant, nonetheless. Khamenei is 78 years old. The more empowered the nation’s moderate faction is when the supreme leader’s rule comes to an end, the better the prospects will be for more radical reform in the medium-term. Rouhani’s resounding win came despite his failure to deliver the economic revival he’d promised in 2013. While the president was able to mend Tehran’s relationship with the European Union — and reach a nuclear agreement that opened the Iranian economy to more Western investment — unemployment climbed from 10 to 12.7 percent over his first term. The U.S. placed new sanctions on Iran over its ballistic-missile program last week, on the same day that it agreed to continue waiving broader sanctions that were lifted by the 2015 nuclear agreement. On Saturday, Iran responded by placing retaliatory sanctions on nine U.S.-linked businesses, organizations, and people. Barring regime change in Washington — or radical changes in Iranian security policy, which is largely determined by conservatives aligned with Khamenei — that promise will be impossible to fulfill.